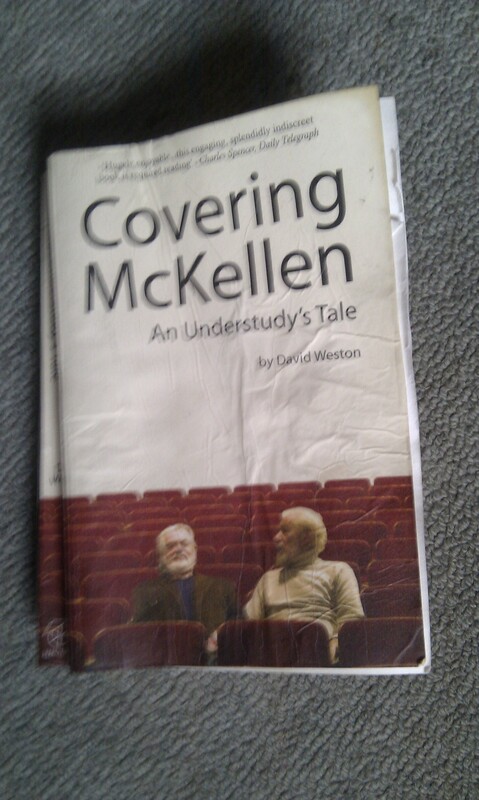 “Covering McKellen An Understudy’s Tale” by David Weston. I was given this book because I like Ian McKellen. If you’ve seen his Richard lll (on stage or on the screen) you’ll understand why and if you’ve never seen his Widow Twanky, you’ve never lived. This book, however, is about David Weston and the year he spent understudying McKellen’s Lear. It’s full of actor’s anecdotes, of how the cast got on with each other, of the squabbles backstage, the awful lodgings, the boredom of waiting around in airports, the lonliness of being away from home. And if you’re a few minutes late arriving at the theatre, you get booked. Never happened in the old days. There are health and safety forms to be filled in: can you kneel/can you push and pull/do you have difficulty standing for a long time? And don’t even mention the “gift” the cast received from the RSC at the end of the run. Above all, it’s about the thoughts of an ageing actor (Weston is in his early seventies) who, having played all the parts, is now ending his career relegated to the role of understudy though to an actor he admires and to whom he is touchingly loyal for, in the whole year of the tour, McKellen doesn’t have as much as one night off. Not a sore throat, not a stubbed toe, nothing. There is one heart-stopping moment when word comes through that Sir Ian has failed to turn up at the theatre. And in Hollywood! Weston takes up the script and starts to look at the first scene. It’s seared into his brain, he says. He’s advised to stay calm, that they’re trying to locate McKellen and, hell’s bells, they do: he’d overslept and couldn’t get a taxi. But he’s on the way. I dropped this book in the bath – hence it’s decrepit state – but I kept on reading it throughout the year. I had to: McKellen’s Shakespearean voice resonates and his willie’s not bad either – for a 68-year-old, as noted by the New Zealand Herald. Weston does get a chance to play Lear when, back in London, they have an understudy run through. 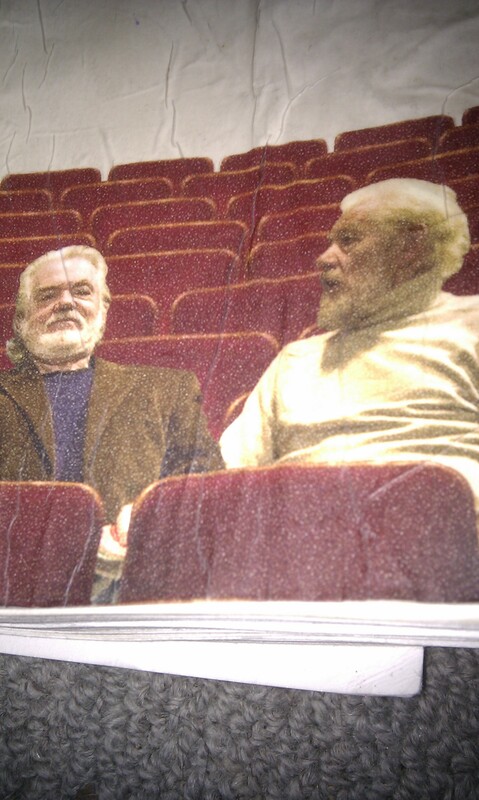 He lets his friends know, his agent, anyone that might be interested in seeing him do Lear. And you know what – it’s cancelled and he has to phone everyone to tell them not to bother coming. A few weeks later, he gets a second chance when they finally have the understudy’s run through. This time, he plays Lear to an invited audience which includes his two daughters and afterwards Ian McKellen hugs him and says he almost envies his having two such lovely daughters. It’s that almost that gets to you. Weston has understudied all of them: David Warner,Alan Bates, Derek Jacobi and his insider’s take on the RSC is marvellous. For anyone in love with the theatre, this is their book but if you ever think life is passing you by, imagine what it must be like to be understudy to Ian McKellen. Always the bridesmaid, never the bride.